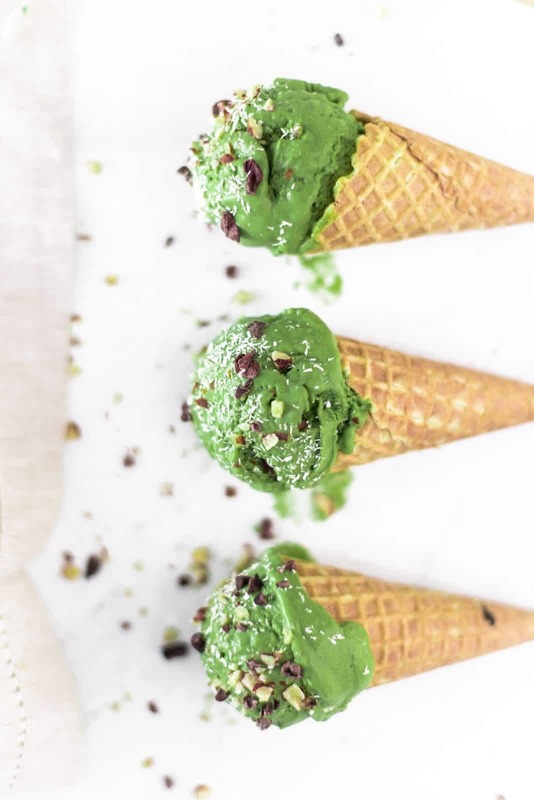 This vegan matcha ice cream is super easy and entirely fail-proof. 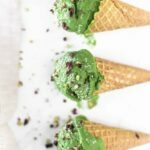 Making your own ice cream might seem like a challenge, but I’ve broken it down to the basics and made it child-level easy! Most importantly, it’s also super delicious and refreshing! 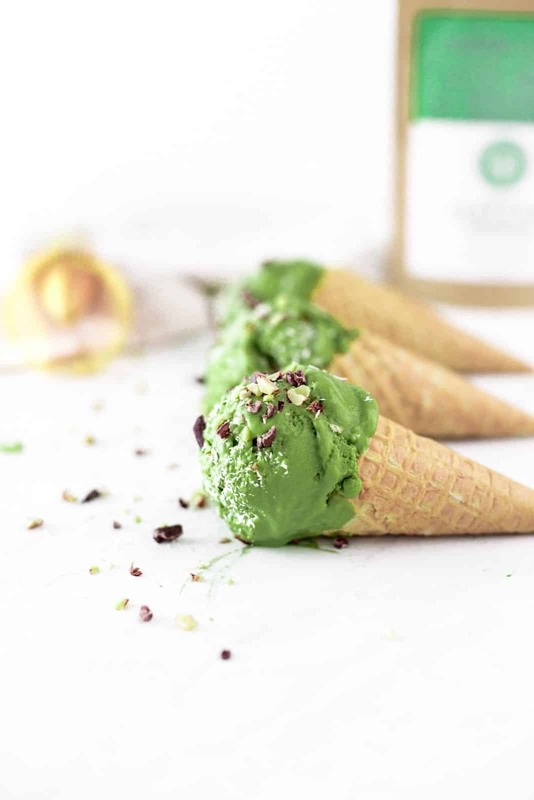 You will need no fancy equipment, just a great quality matcha tea and absolute basics like banana, cocounut milk and maple syrup. In other words, no churning or expensive ice cream makers are required! Matcha is known to be super refreshing. I wanted to use that in a fun way, keeping in mind that spring is now just around the corner! Remember those warm days spent sitting in a park with a good book or with your friends, eating ice cream, basking in the sun? Can you see i’m just a litttlee bit overexcited about spring? After a cold, rainy and grey winter, I’m one thousand percent ready for it again! THE ULTIMATE INDULGENCE: Serve with whipped cream on top of a warm chocolate peanut butter brownie! Your dinner party guests are bound to love it! HEALTHY TWIST: Fun it up with fresh fruit like bananas, mango and berries, sprinkle with cacao nibs, chia seeds and your favourite nuts! Super healthy, so easy and just a little bit more interesting! SHAKE IT UP: Add ice cubes, your favourite plant milk and blend. Voila! Top off with whipped cream and you’ve got yourself the most indulgent milkshake! I SCREAM COOKIE: Grab your favourite vegan cookies or biscuits and make a gorgeous ice cream sandwich. What Are The ACTUAL Benefits of Matcha Tea? Hello Google Scholar, my old friend! I decided to dig up the old academic journals approach and tel you all about fact-checked matcha benefits! Why? I’m tired of health benefits of various foods just being thrown around without an actual source. 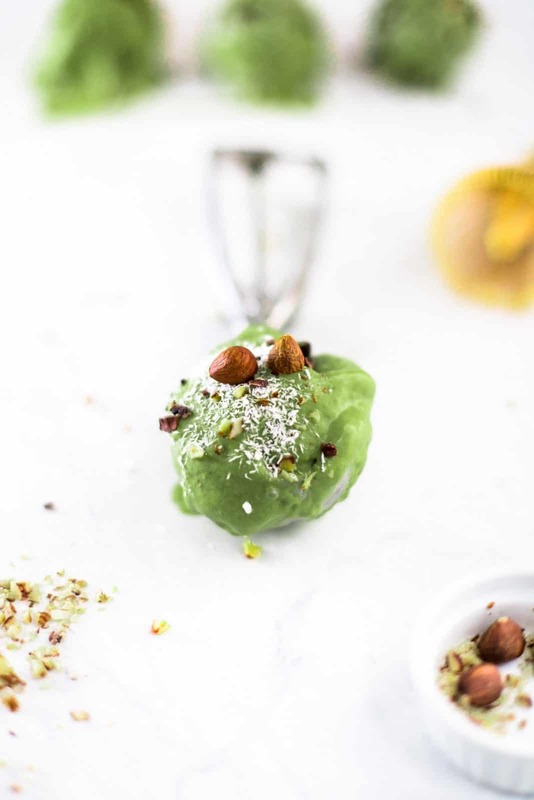 How does matcha benefit your health? 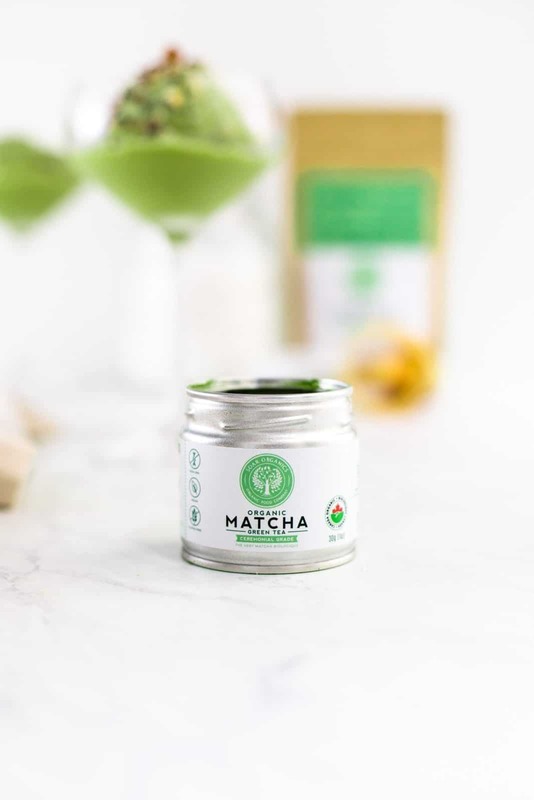 Matcha is super rich in antioxidants: the concentration of epigallocatechin gallate (EGCG) available from drinking matcha is 137 times greater compared to regular green tea. Anderton & Weiss. Offers potential benefits for various skin conditions such as ulcers, wounds, rosascea, psoriasis and wrinkles as discovered by Hsu. Read more about proven matcha benefits here. That being said, do keep in mind the following. In order to reap all the benefits of matcha, you will need to drink properly brewed tea. 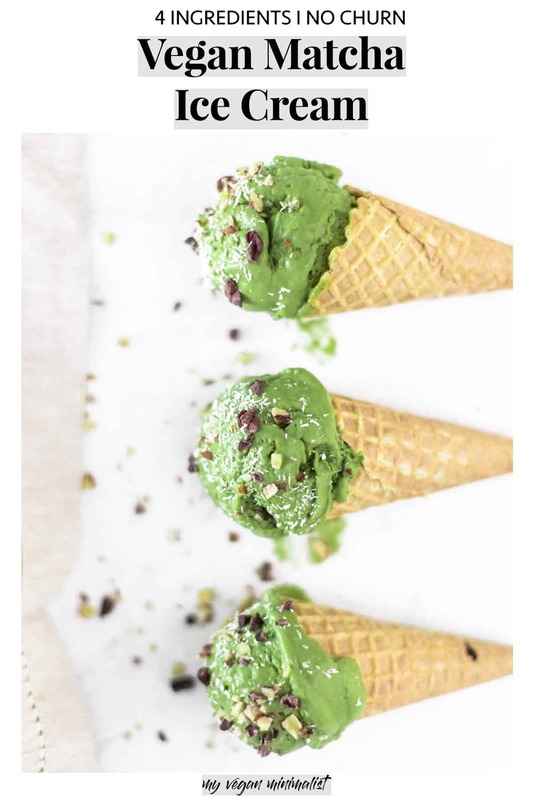 For this recipe I used the Soar Organics ceremonial grade matcha. I partnered with them to bring you this recipe and wanted to take a moment just to tell you how awesome they are. If you’ve followed my blog for a while you know I’m INCREDIBLY picky when it comes to partnering with brands. I reached out to Soar Organics myself because I love their approach and was sure they perfectly align with my values. 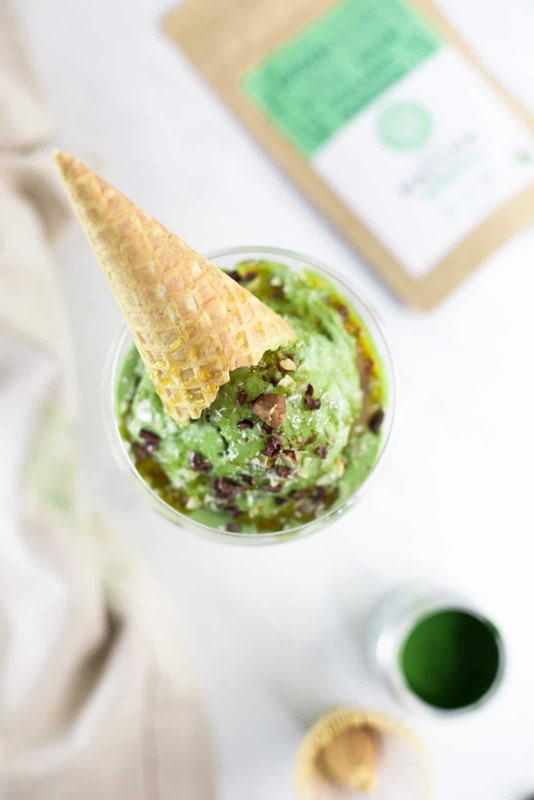 Their matcha is organic and sourced directly from a producer in Japan (rather than through a middleman). Moreover, they GENUINLY care about the planet: no greenwashing and no false promises. You can literally run their packing filler under water and it disappears right in front of your eyes! All orders are packed using certified recyclable boxes too. A portion of every sale is donated to Canadian Feed the Children. Last but not least, I am absolutely obsessed with their branding and minimal aesthethics. I’ve worked in digital marketing for years and seeing such gorgeous packaging just makes my heart skin a beat! Cut ripe bananas into slices and freeze. Add all the ingredients (except toppings) to a blender. 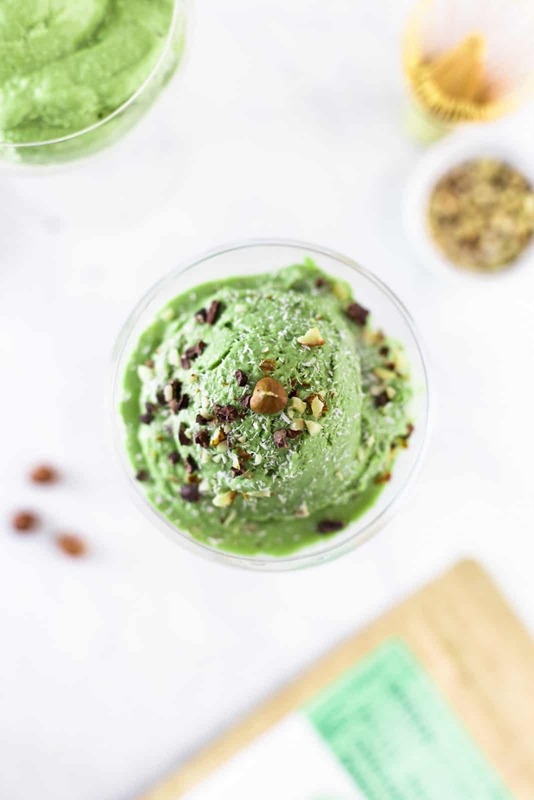 Blend all the ingredients in a high-speed blender until completely smooth. Pour the mixture into a wide, low container and place in a freezer. To ensure the mixture freezes equally, stir every 1-2 hours. The preparation time will depend on your freezer and freezer settings. It might take anywhere between 6-8 hours. Alternatively, leave in freezer overnight. Take out of the freezer before serving and let melt slightly until desired consistency. Disclosure: this post was sponsored by Soar Organics. Thank you so much for supporting the brands that help make My Vegan Minimalist possible. All opinions are my own.